I call them super-jumbo because they are only five. Honestly, I was in a hurry and needed something done within one hour and this is what I came up with. I also wanted it to fit into my active lifestyle. 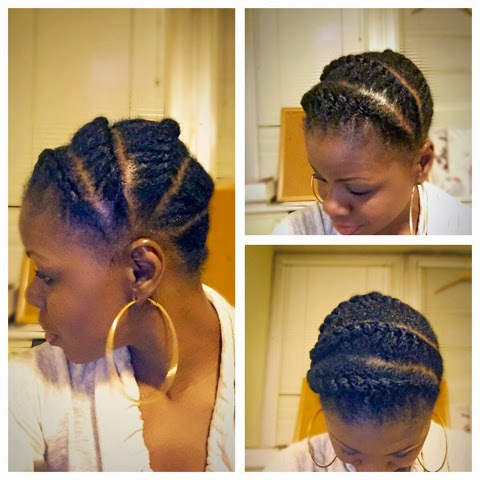 Like the last time, my hair was freshly c-washed and deep-conditioned before flat-twisting. I have been deep-conditioning more often lately due to the harsh weather and the central heat at work. 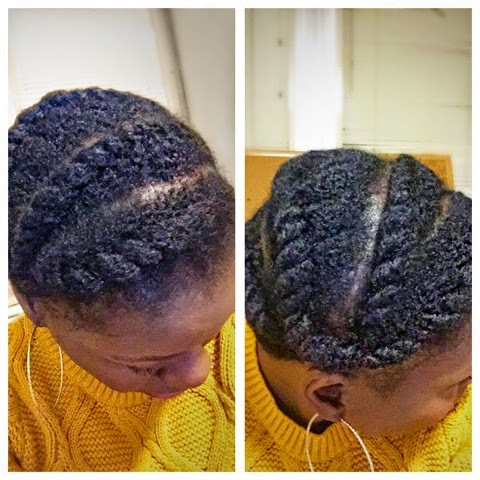 I used Giovanni Direct Leave-in and sealed with Castor oil before flat-twisting. As always, I worked out while wearing this style and it held up pretty good as well, as shown below. This style can be easily rinsed after a work-out. I would use a microfiber towel to blot-dry first and then pat down some castor oil on top.